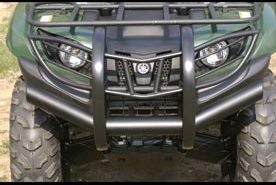 Kodiak Bumper and Headlight Guards Combo includes both parts below for only $260.00. Genuine Yamaha bumper. Laser technology for extreme profiling. Provides front end protection. Powder painted for extra durability. Bolt-on easy install. Requires front bush bar bumper for install. Genuine Yamaha headlight guards. 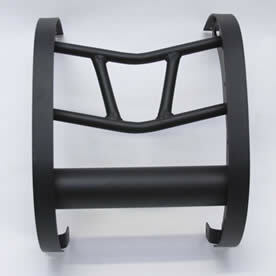 Provides headlight protection. Powder painted for extra durability. Comes with all hardware, bolt-on easy install.